At what age was your ears pierced? And who pierced it? My ears were pierced when I was either 12 or 13. I was in the orphanage and most of the girls were piercing their ears. I did not wish mine to be done because it looked so painful and I thought surely they'll get infected and many got infected. I must admit, I hated wearing clip ons. So after all the hype died down, I asked this girl to pierce mine for me. I got the needles and disinfectant and alcohol and overcooked the needles! Everyone had to wash and etc etc and I had a piece of thread in my ears in a few minutes. I was excited. It healed well, but one of my ears is pierced lean and so I keep having problems in putting an earring in. I can't wear earrings too long either or it make my ears very tender. I think i was 13 and my mom did it. I had to wait til I was 16:) I was a bit overprotected! It was 6th grade and my mom took me to a doctor. I think I was almost in kindergarten and got them done at a store. i had them pierced at a jewelry store when i was eleven. i picked gold studs and turns out i'm allergic. the holes got infected and closed up. a year later i got them pierced again at the mall with allergen free, nickel studs, i think. too long ago to remember. they were a muted silver. 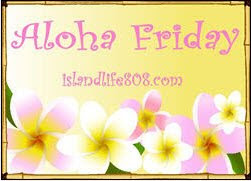 aloha and take care. 9 at a jewelry store. I think I was about 12. We went to a jewelry store and they did it with a piercing gun. I think I was around 10 yrs. old. That is a very good question I think i was around 7ish and it was at a salon. However, I had my daughters pierced at 3 months and she got them done at walmart. I was 3 years old! I went to the hair dresser to have it done. Your ears may be tender because you are allergic to the type of metal you are putting in your ears. Make sure to by hypo allergenic earrings. I was 5. The story is I started asking when I was 3. My folks told me that I could when I turned 5, thinking I'd forget about it and move on. I didn't say another word about it until they asked what I wanted for my 5th birthday. I had it done at the local mall. My mom took me to a beauty shop on my 5th b-day to get my ears pierced. I felt Soooo grown up! My ears are very sensitive and get irritated too if I wear earrings too long. They even act like they're infected. I won't gross you out with too many details, though! I was about 14 and I used those masochistic ear-piercing earrings that took a week to make the hole. Crazy. You all think you had it bad, I got mine pierced when I was 21. TWENTY ONE!!!! Talk about your late bloomers! I think I was like 5 or 6 and it was a bday present. I just went to the store to have them done. I was 14, and we went to the mall. By the time I had them done they were doing it with the gun, not needles. So it didn't hurt as much. I don't know. I was a baby and my mother had my ear pierced twice in each year. Who knew that would be the fashion later on. went on to get three holes in one ear and one in the other - I was pretty happening back in the day - whatever happened???? I didn't get mine pierced until I was in college (I was such a wimp) and then I had it done at one of the mall stores.